I received a digital copy in exchange for an honest review. I really liked this book, I thought it was handled very well and respectfully. However I had quite a few issues with it and not because it was written poorly or is a bad book - but because personally it affected me on an emotional level that didn't sit with me right due to my own history with the involved topic. I really respect that the author was willing to create a story involving around abuse victims, there were a few things I agreed with and a few that I didn't but I did appreciate how it was handled and I grew to like the story despite it bothering me so much. I felt that Twisted Engagement was done well and I really liked it but I hated that for me that it affected me so strongly. Which is a good thing because I dislike books that don't affect me. :) Kind of redundant but I was able to finish it and enjoy the book overall despite my emotions and the issues I disagreed with. 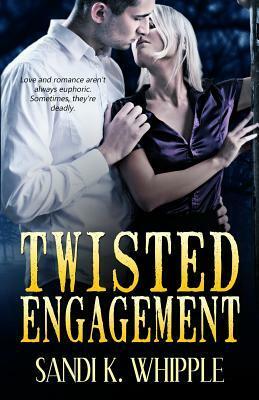 Sign into Goodreads to see if any of your friends have read Twisted Engagement.